40mm not recommended for rearview! 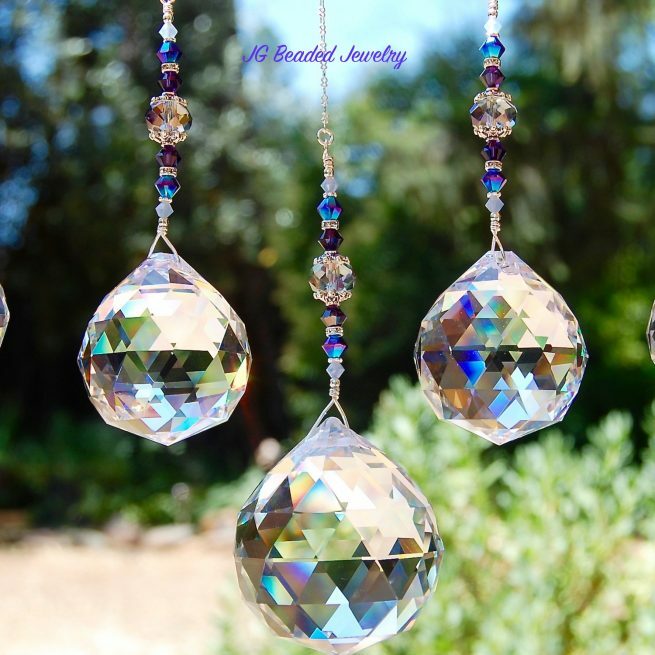 These unique suncatcher crystal prisms will bring sparkle to your vehicle, home or office! The clear prism crystal ball is wire wrapped by hand with silver wire for strength and attention to detail. It is embellished with gorgeous opal blue, iris blue/purple and deep purple Swarovski crystals, fancy silver beads and a gray faceted crystal with purple hues in the middle. All of the suncatcher crystal prisms are quality made with love and care! Swarovski is known worldwide for quality, precision cut, and flawless crystals – they are the best of the best! 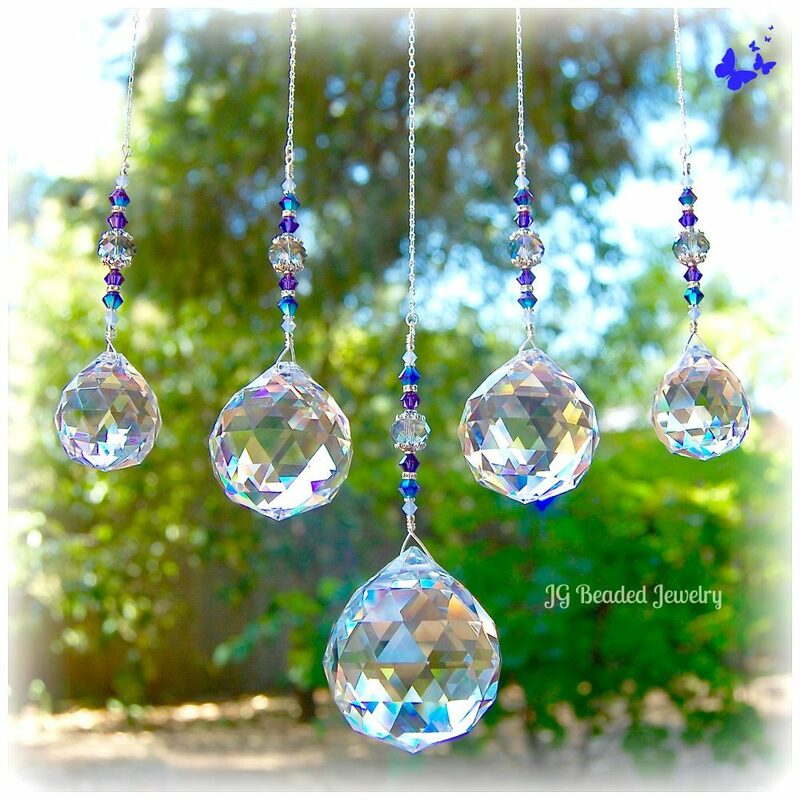 ♥ Size of the suncatcher crystal prisms range from 20mm, 30mm and 40mm. PLEASE NOTE: 40mm is NOT RECOMMENDED for the REARVIEW MIRROR due to the size and weight as it could potentially cause windshield damage. ♥ If you would like more than the quantity available, please contact me with your request, I will respond as soon as possible. 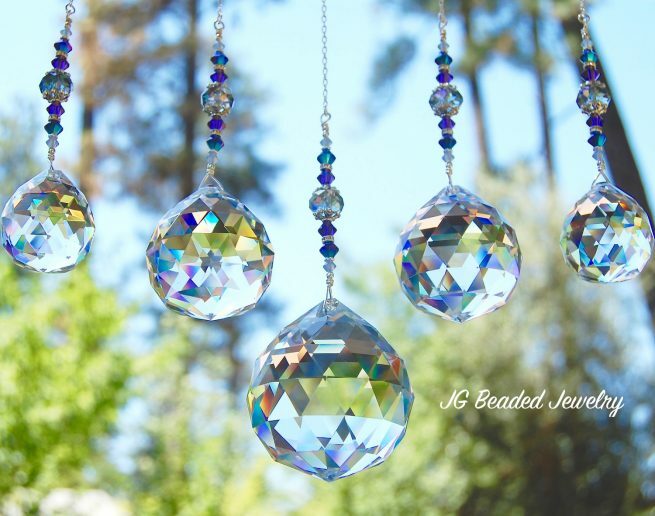 ♥ This crystal prism is also available as a ceiling light pull or fan pull here. ♥ Offering unique and individually handcrafted Rearview Mirror Decorations, Crystal Suncatchers and Light/Fan Pulls!